remedies to treat and stop snoring – one of these snoring treatments is acupuncture. Acupuncture is a holistic medical procedure that stimulates the body and nervous systems by targeting certain areas that cause snoring. When these nerves are targeted, they stimulate and heal the body. Acupuncture dates back nearly 3,000 years to Ancient China. The Ancient Chinese medical practices were based on energy forces found in the universe in natural forms. The energy consisted of two forces called yin and yang. These forces were complete opposite forms of energy, but when balanced, the world and body were operating in harmony and at peace. The energy found in yin and yang is called Qi (phonetically pronounced ‘Chee’). Qi flows throughout the body and in nature and maintains the constant flow of the opposite forces yin and yang – making them balanced and controlled. If the Qi ever gets blocked, it needs to be rerouted so the balance can be maintained – this is where acupuncture comes into play. The Ancient Chinese medicine men believed that by performing acupuncture, the Qi would become unblocked, stimulating the body to function again and continue the flow of energy. These ancient practices have been passed down through the generations and are still used today in the modern-day healthcare system to treat pain and stimulate the nervous, immune, and digestive systems. 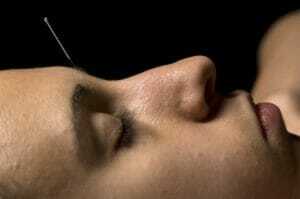 Acupuncture has been proved to resolve pain, restore endocrine system functions, and treat snoring and sleep apnea. Acupuncture is a healing treatment that stimulates certain points of the body in order to promote self-healing, treat pain, and restore the bodies natural flow of Qi. The actual process of the treatment involves an acupuncturist inserting sterile needles into the skin at specific acupoints. Acupoints are precise points on the body that stimulate the nervous system which controls the function of specific areas of the body. The needles are very thin and fine and most of the time cannot even be felt when they are placed in the skin. Depending on your reason for acupuncture treatment, up to 100 needles may be placed into the skin in order to activate a certain system in the body. Many times, heat, pressure or even an electric current may be used in addition to the placement of the needles in order to trigger system functions. Acupuncture treatments may last up to one hour from start to finish. Typically the needles remain in the skin for 20-30 minutes, but depending on the treatment, may stay in place for only 5 minutes. Most people question whether or not the needles will cause bleeding upon insertion or removal. The answer is no. The needles are so thin and just barely break the skin, therefore there is no bleeding. The sessions are usually painless as well. Some patients do experience some bruising in certain areas of the punctures, but this may or may not happen to everyone. Some people have very sensitive skin and bruise easily – so in that case, slight bruising may occur. Each acupuncturist will discuss with you before the treatment a series of questions to make sure that the treatment is right for you. You must remain calm and still throughout the entire treatment. Most patients say they feel quite relaxed after the session is over as well. Everyone reacts differently to their acupuncture treatments and may need more treatments than others based on their situation. Short term, acute issues typically need 5 or fewer acupuncture treatments to relieve pain. Long-term, terminal or chronic issues may result in weekly acupuncture visits. So how is acupuncture used to treat snoring? Two of the main areas of the body that are responsible for snoring are the sinuses located in your nose and the fatty tissues that line your throat and pharynx. There are several acupoints in the body that can be targeted to relieve sinus pressure, one of the main causes of snoring. These acupoints are just below the eyebrow where the bridge of your nose connects above the eye. Other acupoints for targeting the sinuses are on either side of your nostril openings, and just down from there at the base of your cheeks. These are the areas where the needles will be injected into the skin during treatment. You can also gently massage these specific areas, known as acupressure, to treat your sinuses and stop or prevent snoring. Another acupoint that will be targeted to stop snoring is the throat. Excess phlegm and mucus buildup in the throat and near the fatty mouth tissues may be the underlying cause of your snoring. The acupoint that targets these areas is at the top of the nose in between the eyebrows. It’s referred to as GV24.5 (Governing Vessel 24.5). This specific point is one of the most commonly triggered acupoints, as it targets snoring and helps sleep apnea. Other ailments targeted by this acupoint include insomnia, anxiety, and depression. This is also another acupoint that may be used alongside with acupressure by massaging the area on and off for several minutes. It is a common practice for pain relief and is usually administered by chiropractors and holistic doctors. Can you self-administer Acupuncture for snoring? Yes, and no. An acupuncturist is a licensed medical doctor that has been trained in acupuncture and can administer acupuncture sessions and treatments. However, you can treat yourself to a certain extent by practicing acupressure. Acupuncture and acupressure are very similar in that they target acupoints in the body to stimulate nerves and heal. 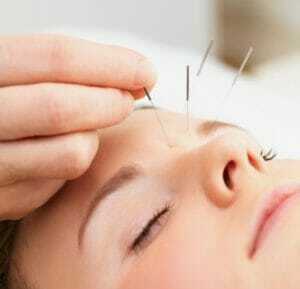 Acupuncture involves actually piercing through the skin to get to the acupoints, whereas acupressure involves gently massaging the acupoints to stimulate the nerves without the use of needles. 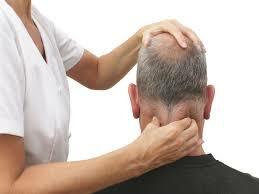 Anyone can perform acupressure, even by yourself and in the comfort of your own home. Is Acupuncture for snoring covered by insurance? Acupuncture has been recognized as a holistic treatment for many ailments and diseases and is covered by many insurance providers. If your insurance does not cover acupuncture sessions, they will run anywhere from $100-$200/visit depending on where you are located. If you are looking for a holistic approach to treat your snoring or your partner’s snoring, acupuncture may be the way to go. It’s non-invasive, relatively inexpensive, and effective. You should always speak with your doctor when making decisions regarding treating snoring or sleep apnea. Make sure acupuncture is the correct approach for you before scheduling your first appointment. Whichever snoring solution you choose, I wish you a peaceful and snore-free night’s sleep. Next post: Nasal Cone vs Mouthguard – Which One is Better For Snoring?